Tags: bread roll panner, bread roll plant. 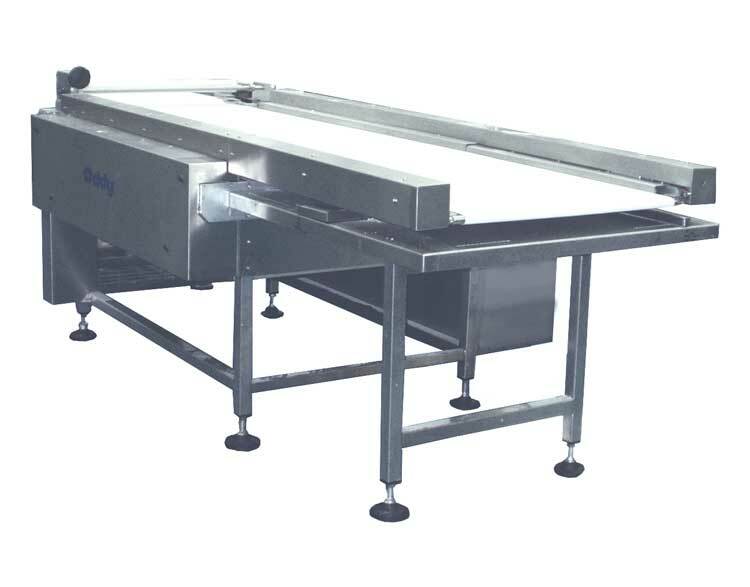 Standard bread panners will load trays of 450mm (18”) to 762mm (30”) in length but with the Oddy bread panner, bread trays of 1000mm in length can be accommodated*. 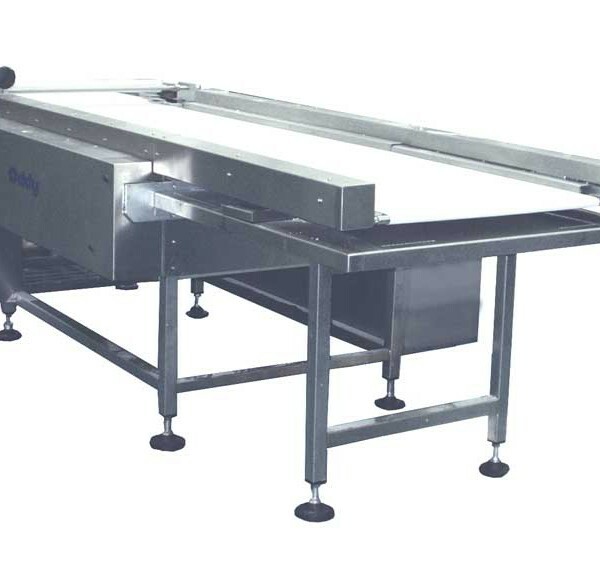 Inverter controlled conveyor belt speed gives uniform spacing of dough products before loading on to baking trays. 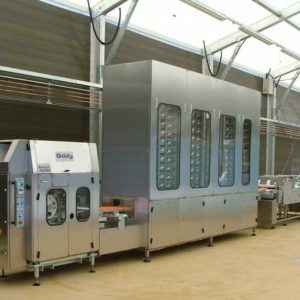 The inverter controlled carriage drive reduces any erratic movement of the dough pieces during tray loading and reduces premature wear in the carriage drive mechanism. Optional PLC control allows for product batching. (The standard PLC allows for 10 batching programs.) Additional programs above 10 will require a larger PLC. * Please specify tray sizes required at time of enquiry.